It's no secret that business etiquette in Asia is.. different. Doing business in the world's largest continent often requires resilience, fortitude and personal sacrifice, with client entertainment front and centre. Causing loss of face is a serious misdemeanour in Asia. 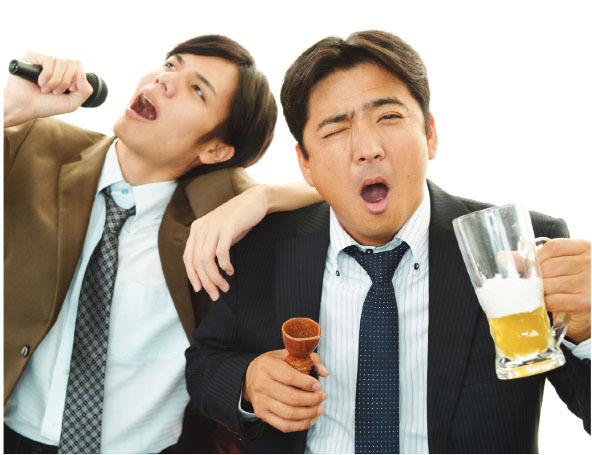 Therefore the issue of consumption of alcohol often becomes an area that needs to be carefully navigated because, according to a report in Yahoo Finance, declining a drink in many parts of Asia can have serious career implications. Adam Jeffes, manager, investment banking and capital markets, Morgan McKinley Hong Kong, is quoted saying: "It is more acceptable to take the drink and be drunk, as this is accepted as an inevitable consequence. And your host will be happy that you are well entertained. The report notes that corporate banking is one of a number of sectors in which emphasis is placed on team entertainment and drinking get-togethers and where trips away are considered the norm for ambitions team members. One investment bank business manager, who wished to remain anonymous, referred to weekends away at resorts at places like Phuket, where days are spent playing golf and drinking. particularly revealing was his statement that in many cases the deal has already been done. One Hong Kong based recruitment consultancy polled their banking recruiters and discovered that costs to entertain front office clients for one night ranged from a few thousand to several hundred thousand HK dollars. An all-expenses paid trip to watch the Grand Prix in Singapore is considered de rigueur. To find out if we can help with your short-term funding needs, "Let's Talk". Give our team at Quantum Credit a call and put our experience to work.
. Digital Marketing - a Dark Art?
. Are Banks Leaving Your Clients in the Lurch?